Congratulations, winners! Please email us at [email protected] to arrange for collection of your prizes at 23 New Industrial Road #05-06 S(536209) on weekdays between 10AM – 6PM. 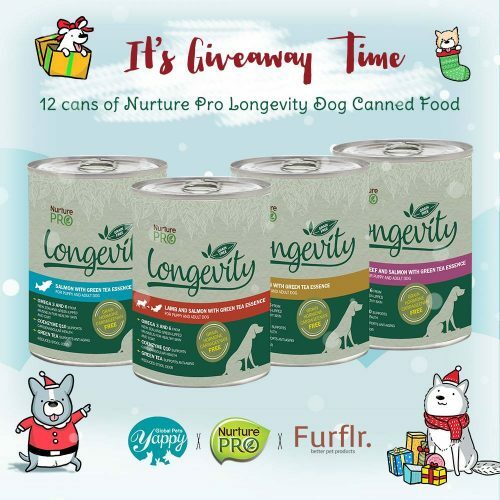 Join our simple contest hosted by our Gold Sponsor, @nurturepro, and be one of TEN lucky winners to win a full carton of the latest launch of Nurture Pro Longevity canned dog food worth $65! 2. Tag 3 other dogs/dog owners whom you’d like to come to SDF with! Contest ends 10th December 2018. Prizes must be collected at the Furflr office on weekdays between 10AM – 6PM. Winners must show proof of ownership of the winning Instagram/Facebook account in order to claim their prizes. Prizes must be claimed by 31 Dec 2018 or they will be forfeited. Congratulations, winners! Please contact [email protected] to arrange for collection of your prizes. Christmas is the only time pairing red and green together is socially acceptable, so deck the halls with festive flair! 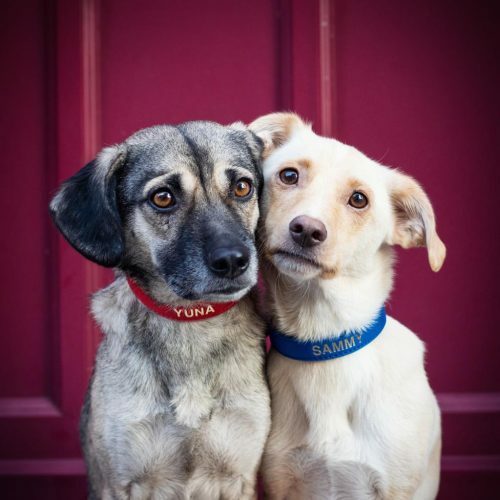 The three best-dressed canines of the weekend will walk away with a total of $500 in gift vouchers from Owned & Adored! Post your best shot on Instagram with the hashtags #acaninechristmas #sgdogfestival & tag us @sgdogfest! Contest runs from 14th to 16th December 2018. Each entry only permits one (1) owner and one (1) dog. Results will be announced on the 17th of December via the Singapore Dog Festival Instagram and Facebook page. Winners will be selected by, and contacted directly by Owned & Adored to claim their prizes. We had such a blast organizing the first ever Singapore Dog Festival, and we want to spread some festive cheer. Sign up for an admission ticket to SDF, and enter yourself automatically for our Lucky Draw! Flash your EventBrite SDF ticket at the Goodie Bag Booth B8 to confirm your attendance! The Lucky Draw runs from 14th to 16th December 2018. Representatives of the Organiser will pick the lucky draw winners from eligible entries. No correspondence will be entertained about the Organiser’s decision. Results will be announced by the 20th of December via email. The Organiser reserves the right to disqualify all entries that do not meet the rules and regulations of the Lucky Draw. These include entries submitted with invalid or incorrect information.